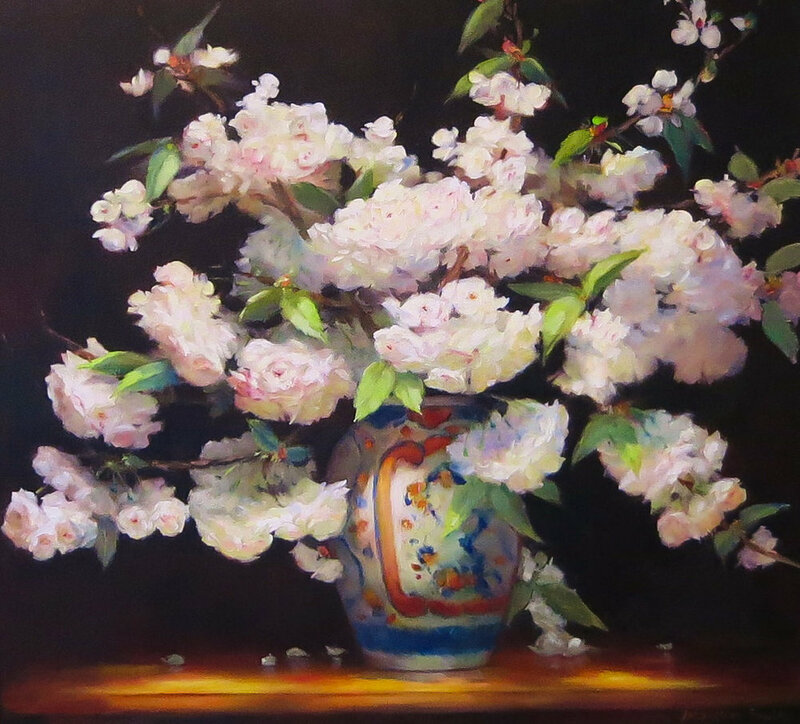 Jacqueline Fowler's floral artworks radiate with colour and light. Considered one of Australia's leading artists. 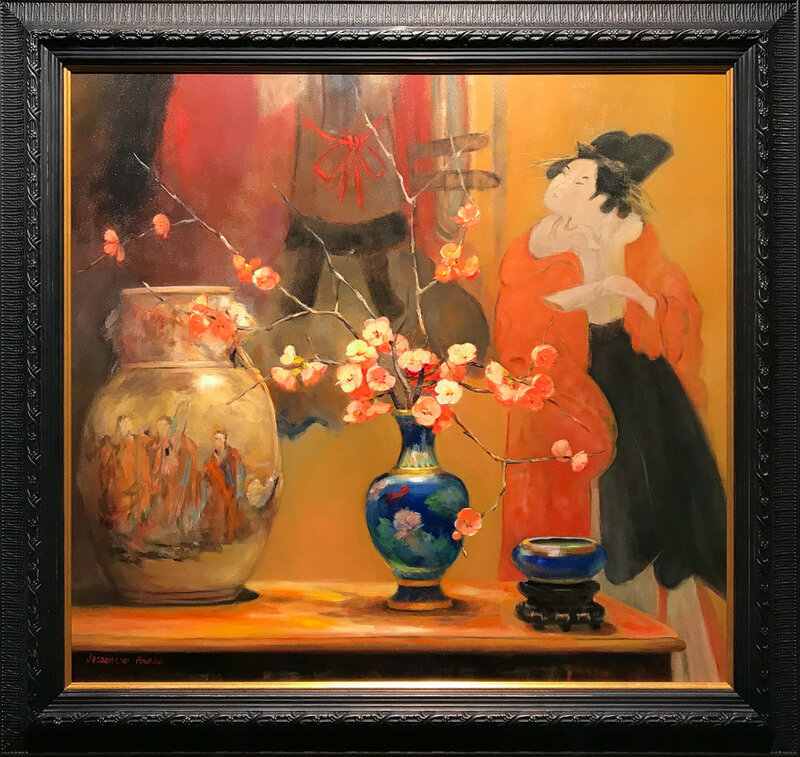 View artwork with Wentworth Galleries now. 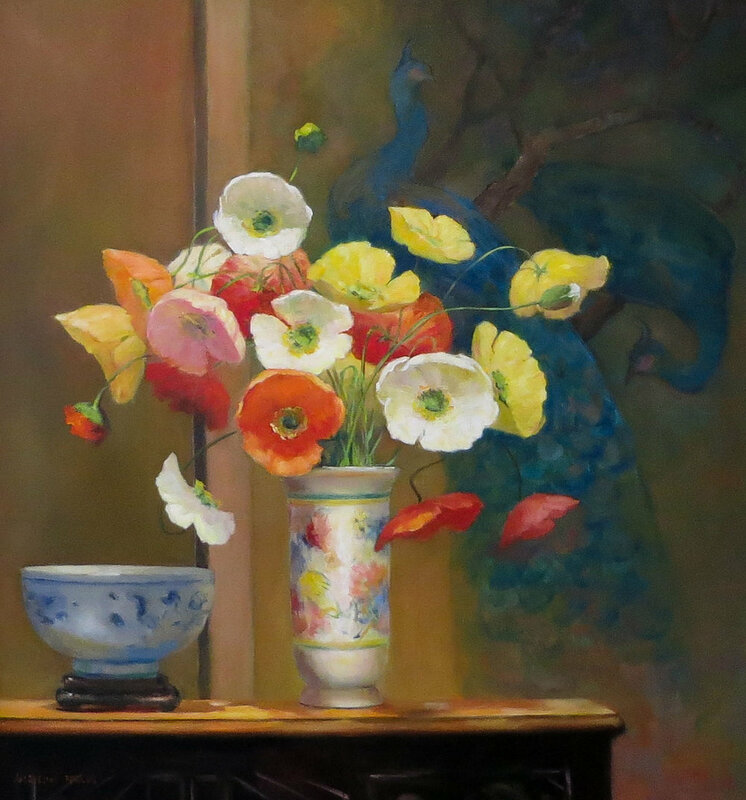 Jacqueline Fowler's floral still life works radiate with colour and light. She writes: "Starting to paint is starting to see. To analyse: I look at things in life as paintings, forever looking at the light touching an object. 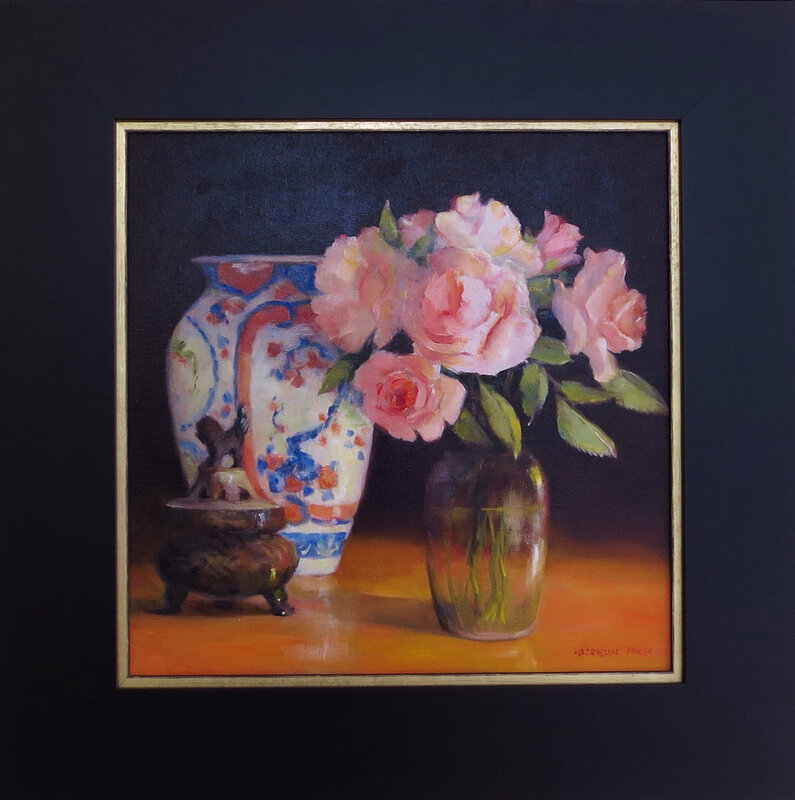 Many of the subjects I paint incorporate beautiful pieces of art, sculpture and prints. Many were collected in Japan when my family lived there and I was a small child." Starting to paint is starting to see. To analyse: I look at things in life as paintings, forever looking at the light touching an object. I started out as a physio, but my parents started to paint. I watched them as, later, my daughter watched me. She is an illustrator. I have been painting for thirty seven years now, full time for the last ten or so. I was taught tonal painting by Graham Moore, a well respected painter and teacher who gave his students a very strong sound base in their work. He still sits on my shoulder at times, disapproving I’m sure. Then pastel and life drawing with Ming MacKay. But oil painting has won me over again. Studio work is my main preference at the moment, focusing on floral still life; but there is also the joy of painting in the landscape in any weather, or sharing a model for life work. Many of the subjects I paint incorporate beautiful pieces of art, sculpture and prints. Many were collected in Japan when my family lived there and I was a small child, others have been collected by my husband who is an inveterate collector. The blossoms and flowers grow in our garden outside Melbourne. Altogether, a happy circumstance. Painting is a sometimes frustrating but thoughtful occupation, with the chance to listen to great music at the same time, and I wouldn’t wish to be doing anything else. 2002 - 2012 Exhibiting with Twenty Melbourne Painters' Society, Melbourne. 2008 "Women of Substance" exhibition, Red Hill Gallery, Brisbane. 2006 "Melbourne & Country", Adam Galleries, Melbourne. 2003 Exhibiting with Adam Galleries “A Survey of Women Artists”. 2000 "Women on the Move 1910-2000" group exhibition at Adam Galleries, Melbourne. 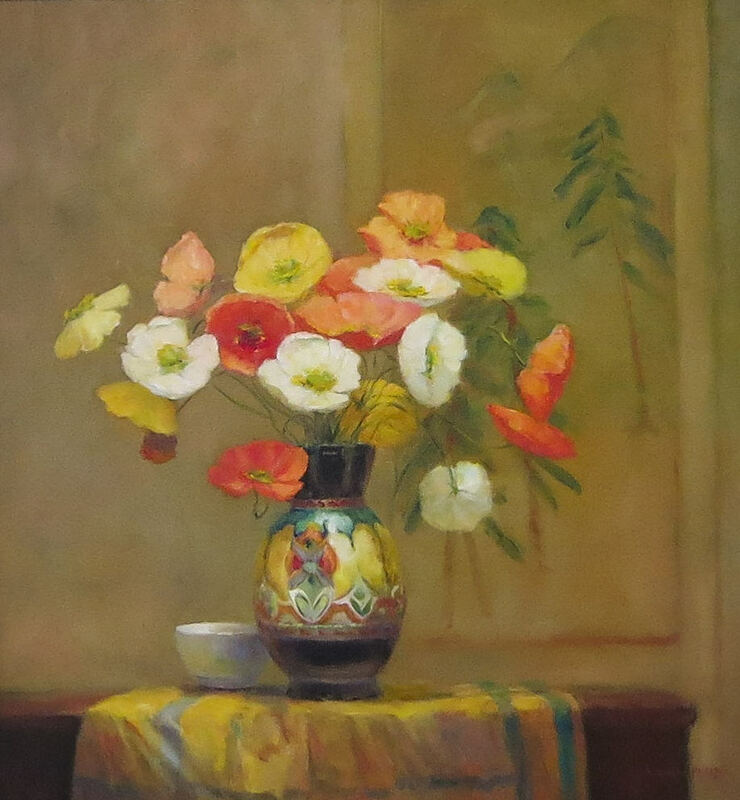 2002 Ming MacKay Award (shared), Pastel Society. 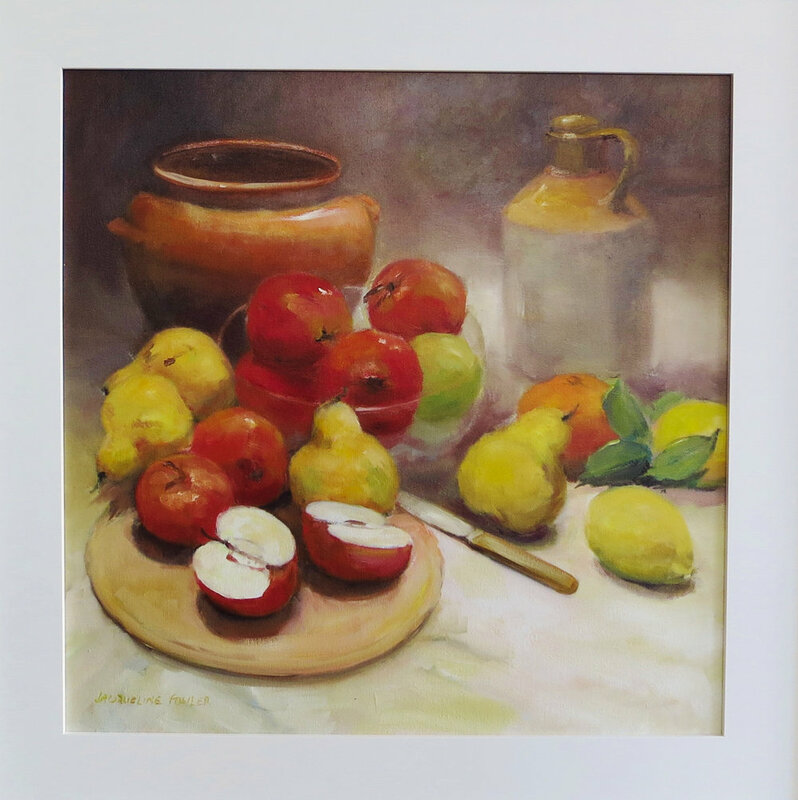 Pastel shown in June edition of Australian Artist Magazine. Invited to membership of "Twenty Melbourne Painters’ Society". 2001 Article in Special Commemorative Edition of Australian Artist magazine. 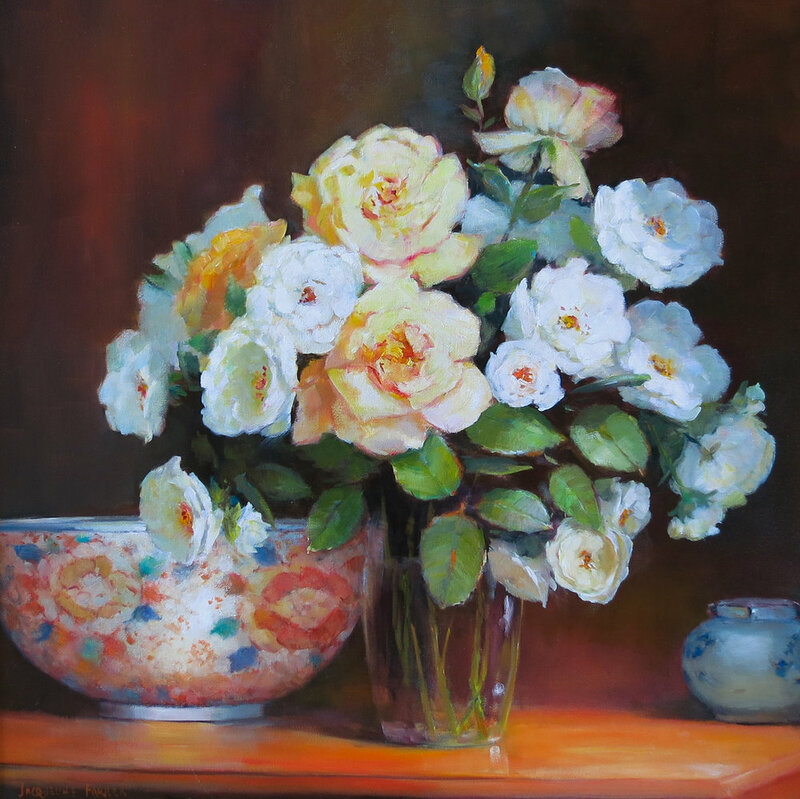 Award for pastel in Pastel Society of Victoria annual exhibition. 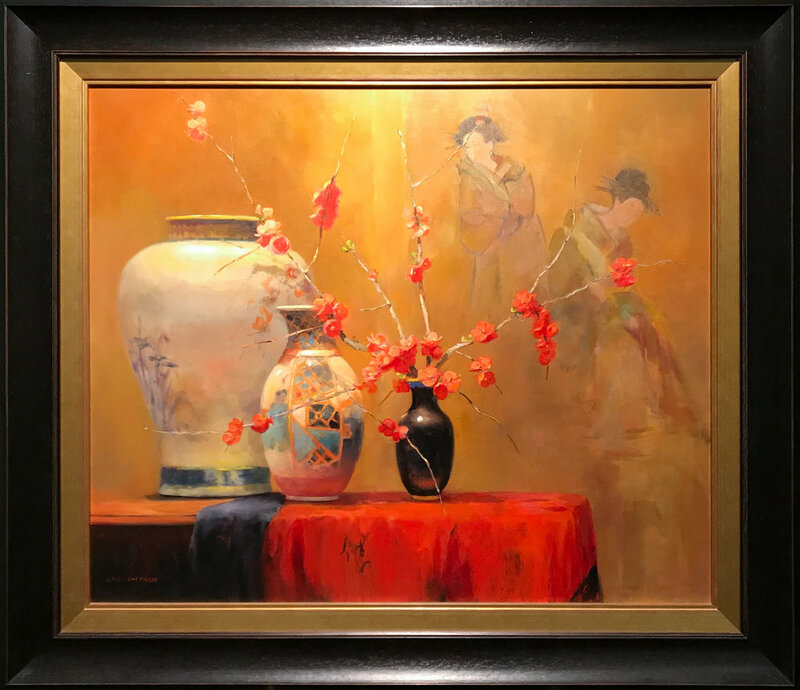 Invitation to showcase a pastel with accompanying description in November edition of Pastel International Magazine. 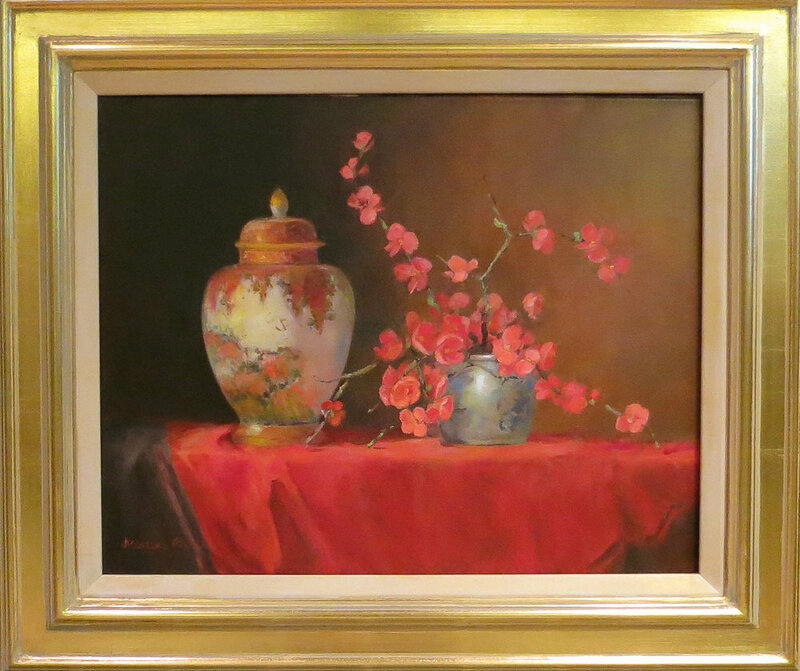 1998 Ming MacKay Award (shared), Pastel Society. 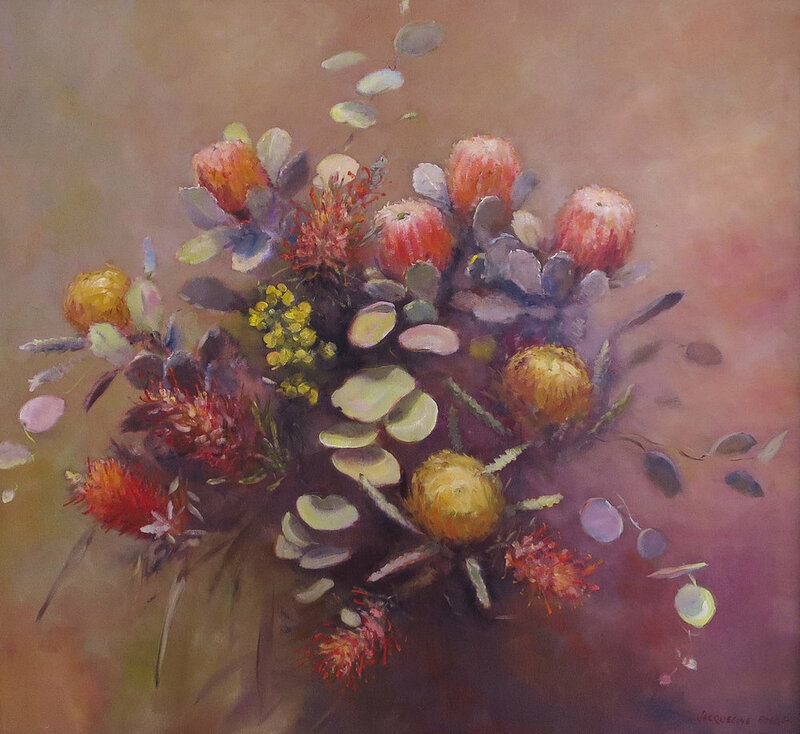 Micador Award, Pastel Society of Victoria. Work chosen to be represented in American pastel competition. 1996 Best pastel, St.Kevins College, Toorak. Best Oil, Chirnside Park Rotary. Prior - Various awards and exhibitions over a thirty-year span, including second prize for oils in A.M.E. Bale Awards.